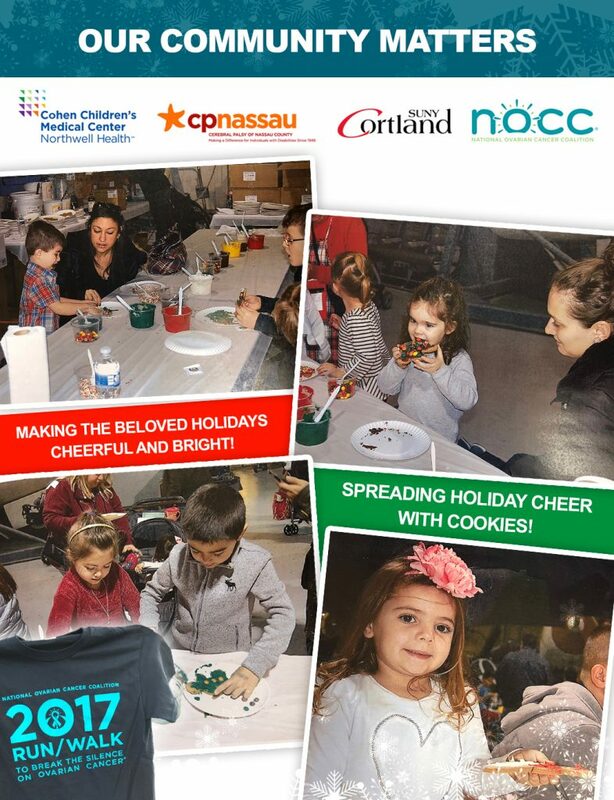 Cookies United was excited to bring smiles to the children, family and staff of Cohen Children’s Medical Center, Cerebral Palsy of Nassau County, National Ovarian Cancer Coalition, and Suny Cortland! We have donated our gingerbread house kits and holiday cookies during this holiday season. The families were overwhelmed by the generosity of the community members from across Long Island.